I love h.NAOTO. It's definitely one of my favorite Brands from Japan. Sure, they make some horrible and ugly stuff, but the amount of awesome outweighs the fugly. The thing that drew me to h.NAOTO in the first place was their beautiful prints. There are lots of Naoto knockoffs out there, and they never manage to get the prints just right. They often look too practiced and the patterns are obviously repeated. 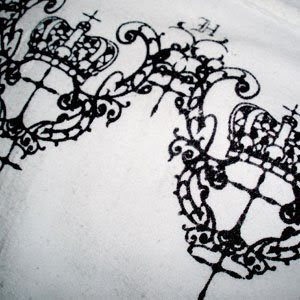 While real Naoto prints have a hand printed grungy quality to them. These are clearly not just scanned and printed designs, they're done with a loving and violent hand. Dystopic and elegant at the same time. And sometimes hiding something something shockingly offensive. These are a few various h.NAOTO pieces with prints that I own (I had to resize them to fit my stupid layout, so you might want to click them to see the detail a little better). They range from nearly invisible white on white, subtle grays, elegant metallics, glossy blacks, to gothic blues and reds. Prints overlap, are barely there, or are embroidered over. My favorite outfits involve wearing as many different printed pieces as I can. Print over loads can quickly fall into the Hot Mess category, but with Naoto, the more of a mess the better. My dream Naoto print is something of a legend to me now. I'm sometimes not sure I even saw it in the first place. h.NAOTO comes out with so much stuff in such a limited amount that it's nearly impossible to find the exact same piece twice. 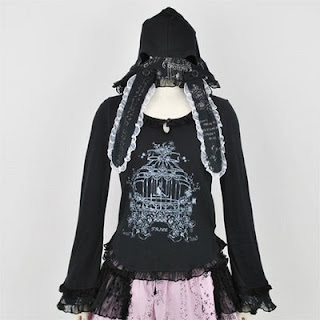 A few years ago I was browsing eBay for Burando, and had done a quick search for h.NAOTO, there was one result, a standard Naoto style cardigan, black, a little bit lacy, with a variety of texts printed all over it in white. 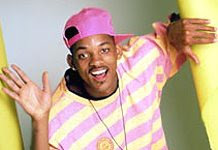 One of the blocks of text had a closeup, “Fresh Prince of Bel-Air” it said. How the Fresh Prince ended up on a Naoto piece is some kind of magical mystery. At the time I had no idea Naoto pieces fit such a wide range of sizes, so I didn't think I'd be able to fit the piece at all, nor had I yet grown used to Brand prices. I boggled a bit at the $80 dollars and went on my way, dreaming of owning such a strange piece. I've told this story to quite a few people since then, hoping that someone had heard of it and *gasp* they were willing to sell it to me, for super cheap even! But no such luck, no one's even heard of such a piece. I guess my quest continues.